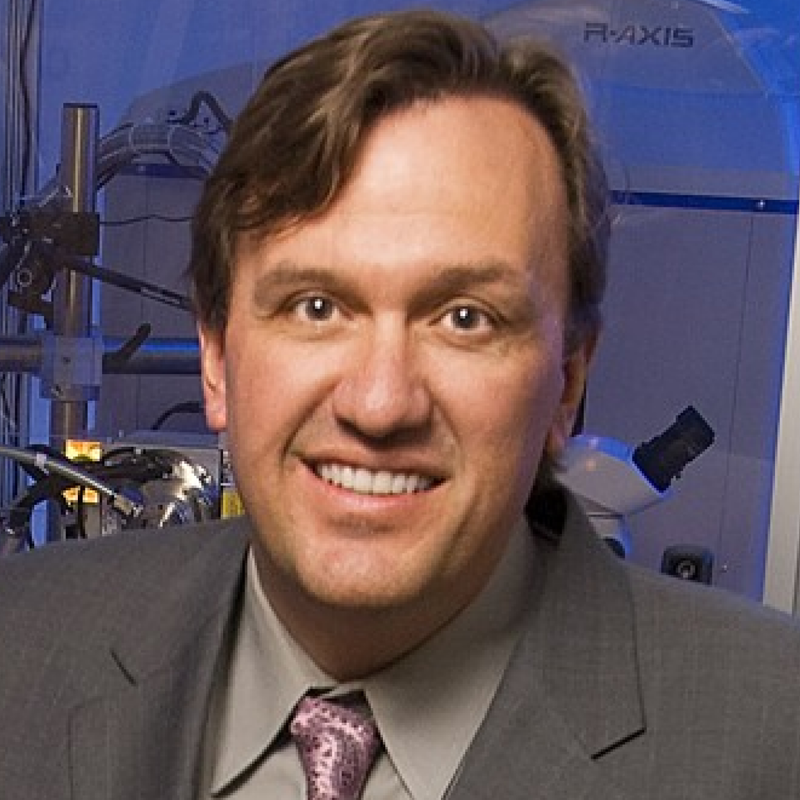 In a recent PNAS publication CMMB Associate Professor Gary Daughdrill, in collaboration with Professor Jiandong Chen at the Moffitt Cancer Center, investigated how levels of disorder in the p53 tumor suppressor regulate auto-inhibition of DNA binding (10.1073/pnas.1903077116). The p53 tumor suppressor is a sequence-specific DNA binding protein that activates gene transcription to regulate cell survival and proliferation. Our current work in PNAS shows that TAD2 and the PRR inhibit DNA binding by directly interacting with the sequence-specific DNA binding domain (DBD). NMR spectroscopy revealed that TAD2 and the PRR interact with the DBD at or near the DNA binding surface, possibly acting as a nucleic acid mimetic to competitively block DNA binding. In vitro and in vivo DNA binding analyses showed that the NT reduced p53 DNA binding affinity but improved the ability of p53 to distinguish between specific and nonspecific sequences. The results suggest that the p53 NT regulates the affinity and specificity of DNA binding. Finding small molecules that relieve the autoinhibition of DNA binding by the p53 NT may lead to reactivation of p53 hot spot mutants. One of the countries most distinguished honor societies, Phi Betta Kappa, has recently extended a chapter to USF. CMMB is very proud to learn that 8 of the students invited to the inaugural class are CMMB majors. These students are: Alexis Coiner, Samuel Coleman, Melissa Gentz, Ariel Jimenez, Amanda Maliva, Vi Nguyen, Omar Sey & Maria Zambrano. A ceremony will honor this great accomplishment on April 22 in the MSC Ballroom. One of Dr. Kims research projects was recently awarded funding from the Florida Department of Health. This $100,000 award will enhance current work Dr. Kim is performing that evaluates the efficacy of PTPN11 as a novel therapeutic target in BRAF wild-type melanomas. CMMB undergraduate researcher and recent winner of the Phil Furman Scholarship, Alexis Coiner, was selected for an award in the outstanding undergraduate research poster category at the USF Health Research Day. She is mentored by graduate student and faculty PI, Arielle Tawfik and Dr. Brant Burkhardt. Her work centers on the identification of novel therapeutic compounds that may inhibit the progression of type 1 diabetes. One of Dr. Parks research projects was recently awarded funding from the Moffitt Cancer Center and American Cancer Society. This award will enhance current work Dr. Park and her lab is performing that looks to elucidate the role of CPEB2 alternative splicing in tumorgenesis and metastasis. Dr. Chalfant has been awarded the highest level given by the Veterans Administration to research scientists, The Senior Research Career Scientist Award. This is a seven year, renewable award for Dr. Chalfant to continue his research in cancer cell signaling associated with non-small cell lung cancer. The CMMB Student Council hosted a research showcase on February 5th at 5:30 PM. Several research faculty from CMMB, The Moffitt Cancer Center, and The Morsani College of Medicine together demystified graduate school and the journey to obtain a Ph.D. For prospective USF graduate students, Faculty presented talks explaining their labs research and what drove them to pursue a career in biological / medical research. A study led by Professor Younghoon Kee and a graduate student Angelo De-Vivo identifies a new protein network in cellular DNA damage response and chromatin regulation. The study is published in Nucleic Acids Research journal. An important cellular response to damaged chromatin (e.g. Double strand breaks) is to repress ongoing transcriptional activities nearby the lesions and facilitate DNA repair. The new study revealed a new mode of regulation in such process that involves histone chaperone (FACT) and its physical interaction with a complex of ubiquitin-modifying enzymes. As histone chaperones play essential roles in many key aspects of DNA metabolisms (transcription, replication, repair) and chromatin compaction, the new protein network identified may coordinate multiple processes ensuring the genomic maintenance, and possibly, tumor suppression. Dr. Prahathees Eswara and his team discovered a novel function for an essential protein in Staphylococcus aureus - the findings are published in the journal eLife. 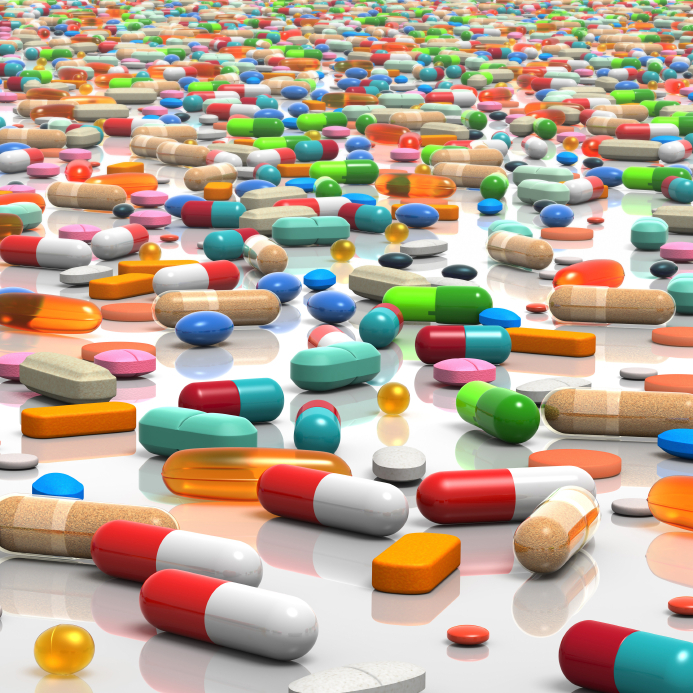 The advent of multi-drug resistant bacteria has highlighted the critical need for new antibiotics. Bacterial cell division is an essential process which could be targeted for designing new drugs. Therefore, identification of key cell division proteins is important for the drug development process. 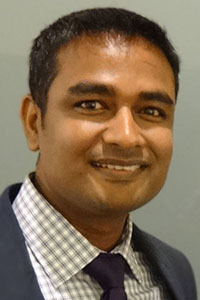 To understand bacterial cell division, especially in clinically relevant organisms such as Staphylococcus aureus, CMMB faculty Dr. Prahathees Eswara and his collaborators investigated the role of an essential protein called GpsB in S. aureus. They show using genetics, biochemistry, and super-resolution microscopy that GpsB directly affects the polymerization kinetics of another essential protein FtsZ. The manuscript describing these results is now published in eLife. Dr. Lindsey Shaw has recently been selected as the recipient of the 2018 Outstanding Graduate Faculty Mentor Award. This very competitive award is a testament to Dr. Shaw's mentoring style in addition to the number of graduate students he mentors as well as their continued success. This award is described by USF administration as being the highest and most significant award given by The University to its faculty. 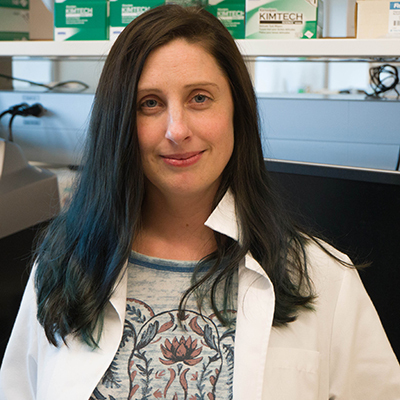 Recent CMMB Ph.D. student Dr. Renee Fleeman was one of four recipients of the 2018 Outstanding Thesis and Dissertation Award. She is the first CMMB graduate to win this extremely competitive award. This recognizes that Dr. Fleemans work stood out among the best, not only in terms of her research theme but also to the extent of her professional development to date. Dr. Phillip Furman, a 1972 USF masters graduate, poses with USF System President Judy Genshaft at the 2018 Florida Inventors Hall of Fame Induction Ceremony in Tampa Sept. 7. His research focused on the development of drugs that helped treat herpes viruses and hepatitis B and C.
CMMB faculty member, Dr. Richard Pollenz has been unanimously voted by the STEER Project Leadership Team to win the 2018 STEM Scholars Teaching Award. STEM teaching award recipients, or STEM Institute Scholars, are chosen based on achievement in evidence-based teaching and a commitment toward students and the student success initiative. Recipients shall serve as ambassadors of excellent STEM teaching practice and help to disseminate best practices to fellow STEM instructors. Alcoholic liver disease (ALD) accounts for approximately 50% of liver related deaths. Elucidation of the mechanisms underlying the pathophysiology of ALD is critical to ultimately developing novel clinical interventional therapy, particularly at early onset. Our prior research has clearly demonstrated that phosphohistidine phosphatase (PHPT1) may serve a critical role in ethanol-induced hepatocyte dysfunction. To further address PHPT1 mediated pathogenesis of ALD, we have engineered a novel PHPT1 knockout mouse. This 150K award from the NIH- National Institute on Alcohol Abuse and Alcoholism (NIAAA) will provide additional resources to further an extensive characterization of the PHPT1 KO mouse to examine the impact of PHPT1 on ALD. Results from this study may provide translational value in the potential identification of novel drug targets for treatment or prevention of ALD. Dr. Shaw recently received a major sub-contract award from UNC-Chapel Hill to work on developing novel botanical peptides for the treatment of infections caused by the ESKAPE pathogens. This R01 grant is the result of more than 3 years of collaboration between the research groups of Dr. Shaw and Dr. Leslie Hicks in the Department of Chemistry at UNC. Together the two teams have developed the PepSAVI-MS pipeline, which is a mass-spec based approach that couples statistical analyses and microbial drug susceptibility testing. During the 5 year funding period the Shaw Lab will perform an array of efficacy testing with botanical peptide fractions generated by the Hicks lab, as well as profiling toxicity and mechanism of antibacterial activity. The ultimate goal is to identify lead peptides that can be further developed into future treatments for infections caused by the notorious ESKAPE pathogens. Dr. Nunes receives FSREF Grant for Strawberry Breeding Research. CMMB Faculty, Dr. Nunes received for the 5th consecutive time since 2014 a competitive award from the Florida Strawberry Research and Education Foundation to study the physical and biochemical profiles of new strawberry breeding selections and the impact of the postharvest environmental stress of the fruit. Results from her work has led to the release of new strawberry cultivars that have been adequately tested. A collaborative research project in CMMB recently identified a major impact of groundwater extraction in Sulphur Springs, Florida. This spring is connected to an extensive underwater cave system which hosts rare crustaceans and microbes. The research performed by CMMB graduate student Robert Scharping under the direction of CMMB faculty Dr. James Garey and Dr. Prahathees Eswara has indicated that seawater intrusion at this site may be altering the sensitive cave ecosystem. The results of this project have been published (Scharping et al. 2018) and an article featuring the research project has been recently released by the science website, Science Trends. The article, titled "The Fate Of Urban Springs: Pumping-Induced Seawater Intrusion In An Underwater Cave" was published on August 3, 2018. The $425,000 award to Dr. Shaw is to promote the understanding of how a novel protein in Gram-positive bacteria, termed the delta factor, influences the transcription complex to express certain genes over others. Our studies will be in the major human pathogen MRSA as we have previously shown that the delta factor is required for disease causation in this organism. If successful, we believe our studies will change the way we think about promoter recognition, and gene expression, in Gram-positive bacteria. An R01 grant of $1.5 million was awarded to Drs. Jianfeng Cai and Xiaopeng Li from USF Chemistry department along with Dr. Prahathees Eswara from CMMB. The major goal of this research is to design, synthesize and investigate a new class of antibacterial biomaterials based on 2D metallo-supramolecules with multilayered structure. The investigators intend to demonstrate that such biomaterials are a promising approach to the development of a new generation of antibiotics with a novel mechanism of action through formation of unprecedented multi-layered transmembrane channels with distinct pore sizes. Their collaborative research on this topic resulted in a recent publication in Nature Communications (Wang et al., 2018). Dr. Westerheide's laboratory publishes recent findings in the Journal Aging Cell, on the regulation of the heat shock response by CCAR-1. The heat shock response is a conserved survival mechanism mediated by the heat shock transcription factor HSF-1. Former graduate student Dr. Jessica Brunquell worked to show that the C. elegans gene ccar-1 can modulate HSF-1 activity, affecting stress resistance, lifespan, and healthspan. C. elegans is an ideal model organism for studying the impact of genetics on physiology and longevity due to useful genetic tools and short lifespans. Many genes and pathways in C. elegans are conserved in humans, so knowledge learned in this model organism may be applicable to human health. We are elated to announce the recruitment of an exceptional Assistant Professor for Spring 2019, Dr. Wenqi Yu. Dr. Yu comes from Shanghai, China where she studied Clinical Medicine at Shanghai Medical College of Fudan University. She obtained her Ph.D. from the University of Tubingen in Germany under the guidance of Prof. Friedrich Gootz. There she studied the biology and pathogenesis of staphylococcus. Dr. Yu was awarded a Research Fellowship from the German Research Foundation to support her postdoctoral projects, these included investigation of septum trafficking of virulence factors in S. aureus. As a member of the CMMB Faculty, Dr. Yu will be undertaking research in bacterial pathogenesis for the future development of novel therapeutics to combat S. aureus infections by better understanding protein secretion and targeting in staphylococci, morphogenesis and S. aureus cell biology. We are pleased to announce the hiring of an exceptional new faculty member, Huzefa Dungrawala, Ph.D. Dr. Dungrawala earned his Ph.D. at Texas Tech University under the guidance of Brandt Schneider where they discovered genes that affect cell cycle progression and elucidated the role of G1-Phase cyclins in replicative aging. CMMB recruited Dr. Dungrawala from his postdoctoral training at Vanderbilt University in David Cortez's laboratory where he combined iPOND with SILAC mass spectrometry to identify DNA replication and repair proteins. He also characterized a replication stress response protein that modulates chemosensitivity to DNA damaging agents. As a member of the CMMB Faculty, Dr. Dungrawala will be exploring the mechanisms by which components of the replication stress response pathway cross-talk to promote genome stability and study their implications in cancer and other diseases. Welcome Dr. Dungrawala! Dr. Ye obtained his PhD at Nanjing Agricultural University in collaboration with Shanghai Academy of Agricultural Sciences as well as Chinese Academy of Sciences purifying and characterizing a series of biological polysaccharides from a well-known medicinal fungus-Ganoderma lucidum and infectious disease bacteria such as Enterococcus faecalis and Vibrio parahaemolyticus using solution-state NMR and mass spectroscopy. CMMB recruited Dr. Ye from his postdoctoral training at the University of Toronto in the laboratory of Scott Prosser where he demonstrated the activation of A2A adenosine G protein-coupled receptor (GPCR) by conformational selection. As a member of the CMMB Faculty, Dr. Ye will utilize his interdisciplinary expertise to explore the dynamics, profiles, and signaling mechanisms related to GPCR activation and allostery such as hetero-dimerization, as well as the mechanisms of pathogenic biofilm biosynthesis. Welcome Dr. Ye. Bi Zhao was selected by a faculty committee to receive the 2017 Chih Foundation Research and Publication Award. This $2500 award is made possible through the generosity of the Chih Foundation, which seeks to support exceptional third- or fourth-year Science, Engineering or Medicine PhD; PharmD; or MD students who are conducting transformative research that positively impacts the research community and society. In addition, this research has resulted in a significant number of technical publications in her field. Bi is a student studying in the laboratory of Bin Xue whose research focus characterizes the structural properties of both structured proteins and Intrinsically disordered proteins, identifying their interaction patterns, exploring the influence of their interactions on biological pathway and networks, and developing novel computational techniques. CMMB faculty and researcher Dr. Cecilia Nunes has recently been awarded a competitive research grant for her work on the Identification of abiotic stress-associated biomarkers in strawberry fruit using mass spectrometry-based proteomics. CMMB faculty, Dr. Brandt Burkhardt was nationally selected to serve on the Research Grant Review Committee for the American Diabetes Association. The review panel determines funding opportunities for ADAs Core Research Program. Dr. Burkhardt will be inducted as a permanent member with a three-year committee term beginning in 2018 and extending through December 31, 2020. With over half a million members, the ADA is the leading association offering Diabetes research, education and treatment. Dr. Gary Daughdrill Receives a USF 2018 Nexus Initiative (UNI) Award. CMMB faculty and researcher Gary Daughdrill has recently been awarded a competitive internal research grant for his work on the structure and dynamics of the adenovirus E1A binding protein to the Human Retinoblastoma protein Rb. CMMB graduate students Mohsen Botlani and Ahnaf Siddiqui have recently worked to develop new methods that yielded fundamental insight into allosteric signaling. This work was published with press release and as a featured article in the Journal of Chemical Physics. In biochemistry, allosteric inhibition is the regulation of an enzyme by binding an effector molecule at a site other than the enzyme's active site. This work is accomplished under the direction of CMMB faculty Dr. Sameer Varma. Leila Casella Awarded The ASM Capstone Fellowship. CMMB graduate student Leila Casella was recently selected as a 2018 America Society for Microbiology Research Capstone Fellow, and will present her work at the ASM Microbe Meeting this June in Atlanta, GA. ASM affords this elite opportunity to the best and the brightest rising young scientists, who we recognize will represent the society and themselves to their full potential. Leila is a doctoral student studying pathogenic mechanisms in the major human pathogen Acinetobacter baumannii in the laboratory of Dr. Lindsey Shaw. Graduate Student Chen Hao Lo wins The 10th Annual Graduate Student Research Symposium. Moffitt Cancer Biology Graduate student Chen Hao Lo is selected as a winner of the USF 10th Annual Graduate Student Research Symposium. His research poster titled "Computational Modeling of Macrophage Polarization Dynamics in Skeletal Malignancies: An Integrated In Silico and In Vivo Approach" will be presented at the 5th Annual Statewide Graduate Student Research Symposium in Tallahassee on April 20, 2018. 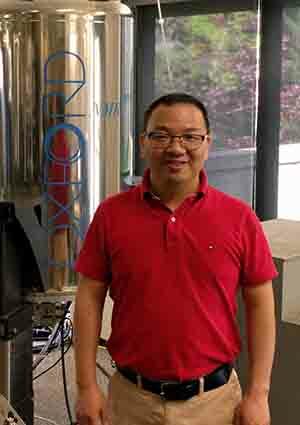 Chen is a Ph.D. graduate student studying under Conor C. Lynch at the Moffitt Cancer Center. 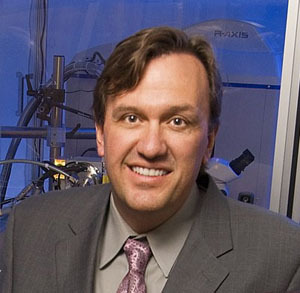 Dr. Charles Chalfant, Chair of CMMB, was appointed by the Center for Scientific Review of the National Institutes of Health as the Chair of the recurring Study Section overseeing the review of all F30, F31, and F32 predoctoral and postdoctoral fellowship applications for the National Cancer Institute. His term is for three years and lasts until March of 2021. 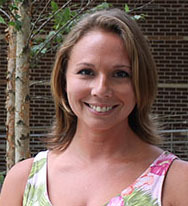 Dr. Lindsey Shaw has been appointed as a member of the Bacterial Pathogenesis NIH Study Section. This appointment to serve until 2022 is a great honor bestowed on those that demonstrate the highest levels of competence and achievement in their field. Involvement in NIH study sections provides a unique opportunity to contribute to the national biomedical research effort as members review grant applications submitted to the NIH and survey the status of research in their field of science. Dr. Charles Chalfant, Chair of CMMB, was appointed to the Editorial Board of Molecular Cancer Research, a journal in the American Association for Cancer Research (AACR) portfolio of publications. This invitation is in recognition of his outstanding contributions to the field of cancer research. His term is through December 2020. Tiffany Ferrer, an academic services administrator for the Department of Cell Biology, Microbiology and Molecular Biology received the CAS Outstanding Staff award for 2017/2018. Each year, the University of South Florida seeks to recognize employees who exemplify "above and beyond" performance excellence through their daily commitment to the University. It is the hard work and dedication of these staff members that makes our success possible. Award winners were honored at the annual Outstanding Staff Awards ceremony held every December. 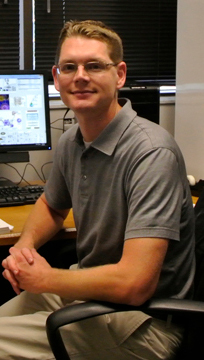 Dr. Frey is a Fulbright Scholar who joined the lab of Dr. Lindsey Shaw as a new Postdoctoral Researcher. 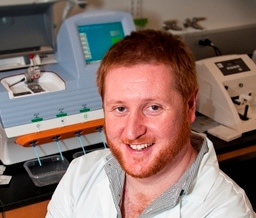 Dr. Frey is a graduate from the University of Glasgow in 2011 with a first class M.Sci in Microbiology. This was followed by a PhD at the University of Sheffield, where he worked in the Dental School with Dr Graham Stafford, investigating the sialidases of periodontal pathogens. During his time at Sheffield, Andy competed in the Microbiology Society's Young Microbiologist of the Year competition, where he obtained first place in the prokaryotic division. CMMB Alumnus Presents Lecture on Virology: Antiviral drugs for HSV & HIV. Dr. Phillip Furman, 2016 Outstanding CMMB Alumnus and USF Honorary Ph.D., presented a lecture in Virology on antivirals for Herpes Simplex Virus (HSV) and Human Immunodeficiency Virus (HIV). Dr. Furman has published over 100 research articles on molecular biology of viruses and antiviral chemotherapy as a Senior Scientist at Welcome Research Laboratories, and as a faculty member at UNC, Chapel Hill. His work has led to the development and application of AZT for HIV and Acyclovir for HSV-1 and HSV-2. Dr. Nunes receives FSREF Grant for Strawberry Research. 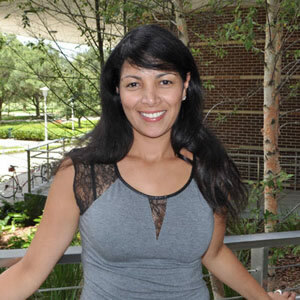 CMMB faculty Cecilia Nunes, Ph.D. was recently awarded a $50,00 research grant from the Florida Strawberry Research and Education Foundation (FSREF) which has funded Dr. Nunes's research aiming to evaluate the quality and shelf life of new strawberry breeding selections compared to that of commercial cultivars. 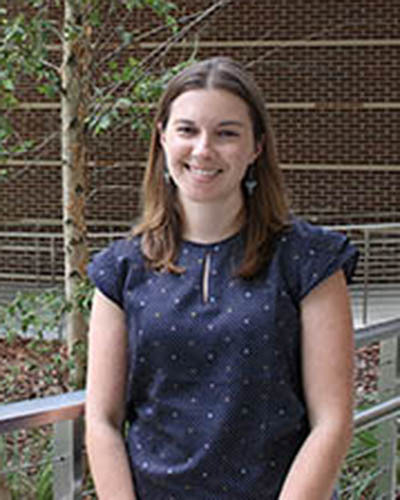 Her research has provided additional data on new strawberry breeding selections that are made available to the Florida strawberry growers upon adoption of new varieties. This work benefits Florida growers, leads to the release of new strawberry cultivars that have been adequately tested and provides the consumer with strawberries with the best quality and longer shelf life. Dr. Sameer Varma receives the Faculty Outstanding Research Achievement Award. In 2016, Dr. Varma received a RO1 award from the National Institute of Health to support the development of new methods for carrying out accurate simulations of biological ionic interactions. This theoretical work will yield new atomic-level insight into the fundamental forces that drive biomolecular function, and also produce new software and tools that will be made freely available to the scientific community. In 2016, Dr. Varmaâ€™s group contributed to 6 high impact articles, out of which 2 were with experimental collaborators at USF. In addition, his group released 2 new scientific software tools that have been downloaded over 200 times. Dr. Vered Wineman-Fisher receives Postdoctoral Fellowship. Dr. Vered Wineman-Fisher has been awarded a competitive $50,000 fellowship for two years from the Israel Council for Higher Education. These funds will support her efforts in Dr. Varma’s lab to understand the contributions of polarization and many-body dispersion in biomolecular ionic interactions and develop new methods to incorporate them in molecular mechanics simulations. 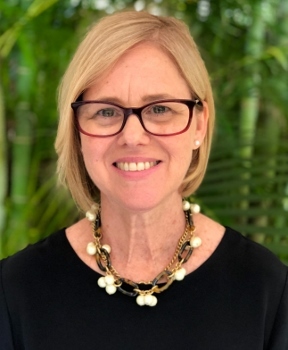 Dr. Chalfant comes to us from Virginia Commonwealth University School of Medicine, Department of Biochemistry and Molecular Biology and Massey Cancer Center in Richmond, Virginia. 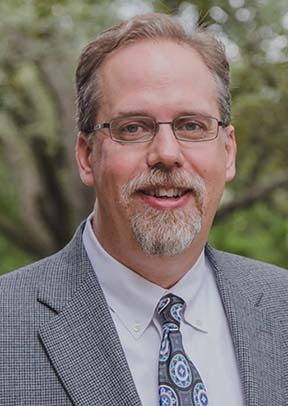 As a USF Graduate School alumnus, he received his Ph.D. from the USF College of Medicine in 1997, and has since turned his research focus to Cellular Lipid Signaling. Dr. Chalfant’s research team will be concentrating on two main focus areas: 1) lipid and oncogenic regulation of alternative splicing; and 2) the regulation of eicosanoid synthesis in inflammation and cancer. Charles Chalfant, Ph.D. brings leadership experience from his time served as the Endowed Chair of Cancer Cell Signaling and the Director of The Tier I Lipidomics Core facility at VCU Massey Cancer Center. Dr. Chalfant has plans to establish a new world-class research core facility for the University of South Florida. The Lipidomics Core Facility will provide highly quantitative lipid analysis for today’s researching biologists. This new facility will be capable of the quantitative analysis of sphingolipids, cardiolipins, eicosanoids, 3-PUFA-derived lipid mediators, steroid hormones, and cholesterol. We are excited to have Dr. Chalfant onboard, and look forward to what lies ahead! CMMB Ph.D. graduate student, Leila Casella has been selected to receive the Chris G. Zutes Scholarship awarded by the USF Alumni Association. The $3,000 scholarship is one of the alumni centers 75 scholarships offered in 2017. 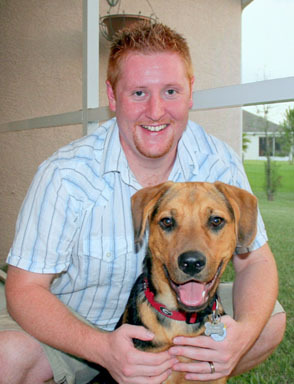 The Chris G. Zutes Memorial Scholarship was established to help support graduate students who are pursuing academic initiatives in infectious disease research at the USF Florida Center of Excellence for Drug Discovery & Innovation. This highly comeptative scholarship complements the research Leila is committed to under the driection of her mentor, Lindsey Shaw, Ph.D. Dr. Shaws laboratory focus's on the moecular mechanisms of disease causation in Methicillin Resistant Staphylococcus aureus (MRSA), and Antibacterial Drug Discovery Targeting the ESKAPE Pathogens. It has been a pleasure serving the CMMB Department as Chair for the past 11 years. We had a somewhat chaotic beginning when we emerged from the reorganization of Biology that began in 2006. Our goals were simple: to meet the ever increasing demand for classes for STEM students, strengthen our emerging academic programs, and to be an outstanding biomedical-oriented research department with close ties to the College of Medicine, the Moffitt Cancer Research Center, and other USF entities. 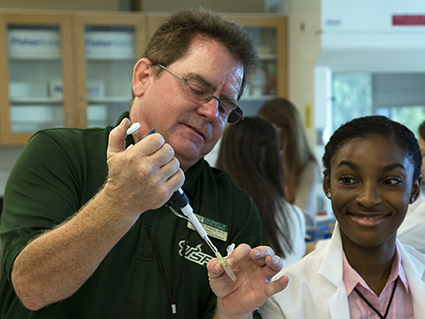 Together we hired many talented faculty, developed excellent new curricula, and extraordinary undergraduate and graduate programs, and our research has blossomed, helping USF in its move toward Pre-eminence. From the very beginning we nearly doubled the seats available in our classes, allowing students to graduate in a reasonable time, contributing to student success early on. We have a terrific relationship with the Moffitt Cancer Biology PhD Program and are engaged with the College of Medicine departments through individual researcher collaborations. I think it is fair to say that CMMB is one of the great academic departments at USF and we should all take pride in making it so. I welcome Dr. Charles Chalfant, who will become CMMB Chair effective Monday, September 25th and I feel certain that he can work with you all to move CMMB to the next level. The $1.5 million award from the NIH focuses on the Role and Regulation of Extracellular Proteases in Staphylococcus aureus. This work stems from previous NIH funded projects and >25 peer reviewed publications from the Shaw lab, and seeks to understand how the progression of infection is controlled in MRSA. The grant is based on foundational work by students in the Shaw lab, and will support their continued study on pathogenic mechanisms in S. aureus. CMMB faculty and Food Scientist, Dr. Cecilia Nunes in collaboration with Dr. Colm Oâ€™Donnell from University College Dublin (UCD) in Ireland, received a $350,000 award to sponsor fellow food scientist Dr. Anastasia Ktenioudaki during a 3-year period. This fellowship is funded by the European Commission Horizon 2020 - Research and Innovation Framework Programme and is called Marie Sklodowska-Curie Actions. Dr. Ktenioudaki will spend two years at USF working directly with Dr. Nunes and her 3rd year at UCD. She will be working on a project entitled â€œFreshProofâ€ which aims to develop an innovative systems approach to address existing food supply chain losses/waste and address recently highlighted shortcomings in food safety, integrity and traceability. CMMBâ€™s Dr. Alan Franck, Director of the USF Herbarium has received a National Science Foundation grant for $150,000 to improve online access to the USF Herbarium and the Fairchild Tropical Botanic Garden Herbarium. Together these herbaria have more plant specimens from central and south Florida than any other facility and play a major role in Floridaâ€™s natural resource management. This grant demonstrates that the National Science Foundation considers the USF Herbarium a valuable asset worthy of investment. The Stem Academy program is in its third year and helps incoming STEM student make the transition from High School to College. The program is run by CMMBâ€™s Dr. Rick Pollenz and significantly increases the freshman retention rate for students in the program. There are currently about 140 students enrolled this year. CMMB undergraduate Vickie Frazier is awarded a $6,000 Fellowship from the Cave Conservancy Foundation for her research on limestone dissolution in the Double Keyhole Cave System. It will fund an 18 month project in the lab of Dr. Jim Garey that will determine the role microbes play in the enlargement of underwater cave conduits. Limestone dissolution leads to sinkhole formation and changes in well water quality. 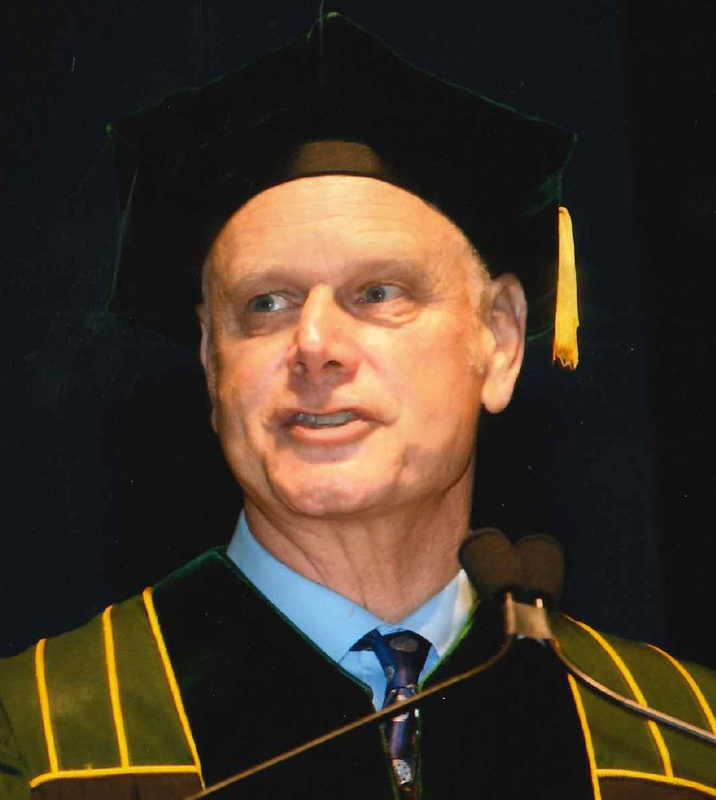 Phil Furman, USF Alumnus (Microbiology 1971), is awarded an honorary doctorate by USF in Spring 2017 Commencement for his lifetime work in developing antiviral medications used to treat AIDS, Hepatitis B and C, and Herpes infections. Left to Right: Ralph Wilcox, USF Provost, Phil Furman, James Garey, CMMB Chair, Judy Genshaft, USF President. 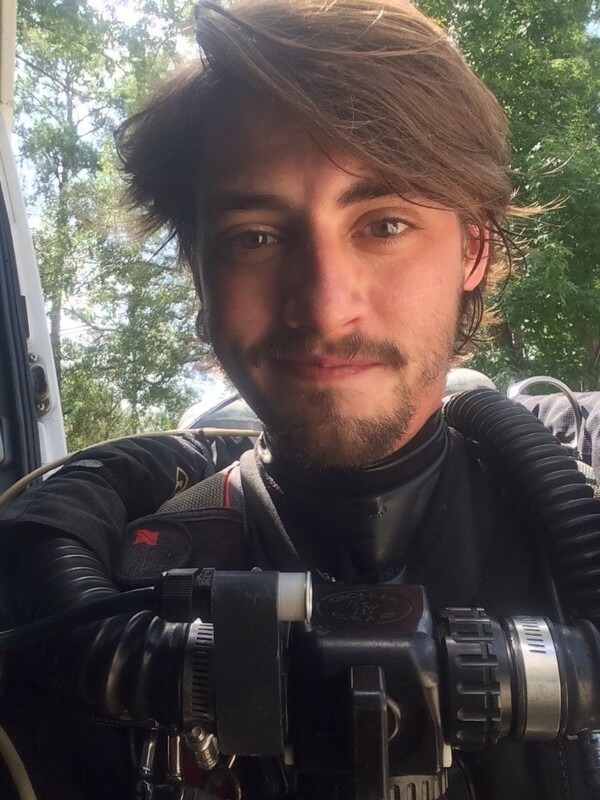 CMMB Graduate student, Robert Scharping has recently been awarded a $3000 research grant from the Cave Research Foundation in Laurel, MD. The CRF is a private, non-profit organization dedicated to facilitating research, management and interpretation of caves and karst resources. 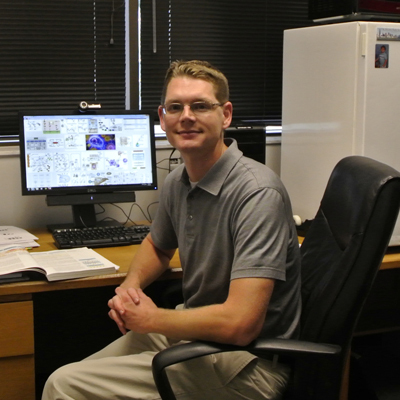 Robert is a Ph.D. student studying in the laboratoray of CMMB faculty James Garey. CMMB Instructor, Dr. Jones-Mason has recently been awarded the annual STEM Institute Scholars Teaching grant. This award is in part supported by the STEER project (Systemic Transformation of Education through Evidence-Based Reforms). Dr. Mason will additionally act as an advisor to the institute. CMMB undergraduate student, Sylvia Emly has been recently recognized and awarded by the Office of Undergraduate Research, for excellence in research regarding her investigations into histone dynamics during the DNA damage response. Sylvia is a part of the research laboratory of CMMB faculty, Dr. Younghoon Kee. CMMB graduating Doctoral candidate, Andy Weiss moved on from the regional Graduate Research confrence held last month at USF qualifying him to compete at the state level with 60 other students. Andy recently took 1st prize for his subject category at the symposium hosted by The University of Florida. He presented his project titled Stepwise Identification of Virulence-Related sRNAs in Staphylococcus aureus. 03/01/19 Catherine Freudenreich Schmidt Tufts Univ.